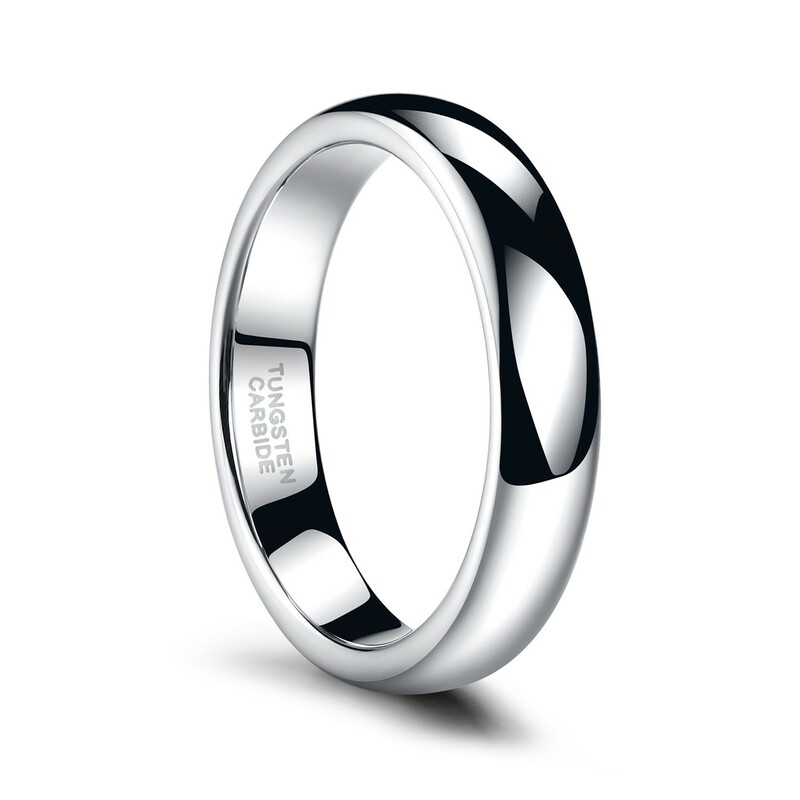 This classic white tungsten ring is of simplest style. Its design adds to its elegance. Its low-key luxury brings out the good taste of the wearer. Its color is a good match with your other stylish choices. Our excellent craftsmanship makes every ring comfortable to wear. 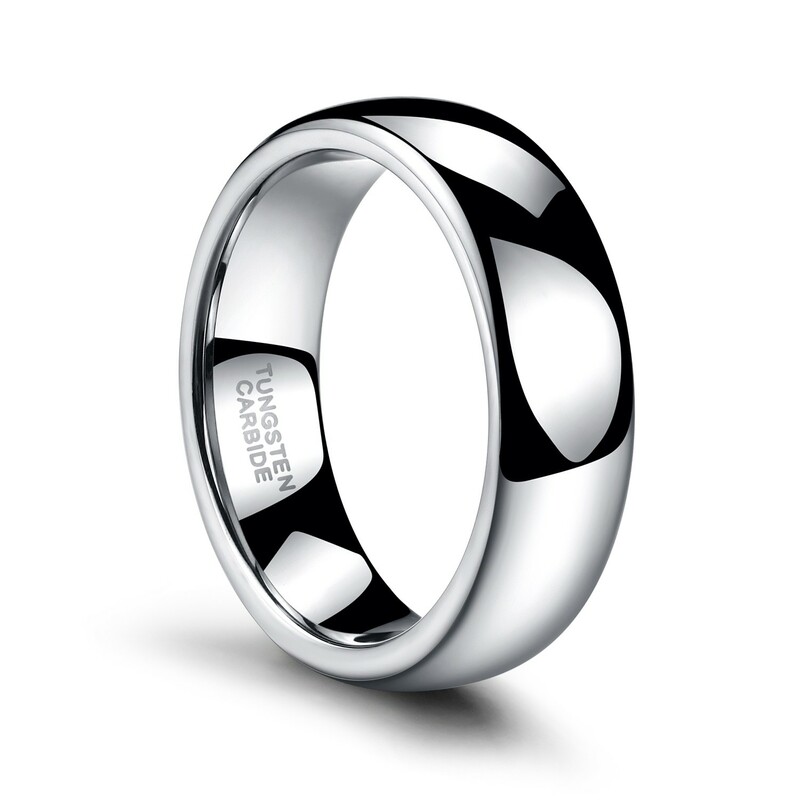 Dome high polished tungsten carbide ring is perfect gift for occasions such as engagements, weddings and wedding anniversaries. 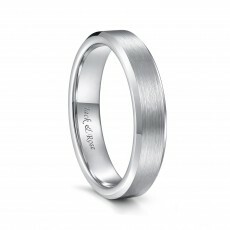 Tungsten carbide rings are heavy and very durable. It excellent resistance to scratches and chemical attacks will relieve you worries about scratches, corrosions and discolorations. Along with our excellent product, we provide customer services that will guarantee your satisfaction. Love it. My husband loves that it's durable. The color is perfect. Product was exactly how I wanted it. This ring is perfect -- I bought it to replace my husband's lost wedding ring. It's just thick enough (not too thick, but masculine) and looks terrific. I prefer it to the ring I originally bought for our wedding. 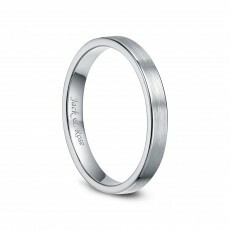 It took us a few times to get the sizing right, and Metals Jewelry exchanged it every time with zero hassle. The price is fantastic too. I'm definitely a happy customer and would purchase from this company again. I'm so happy with this purchase! 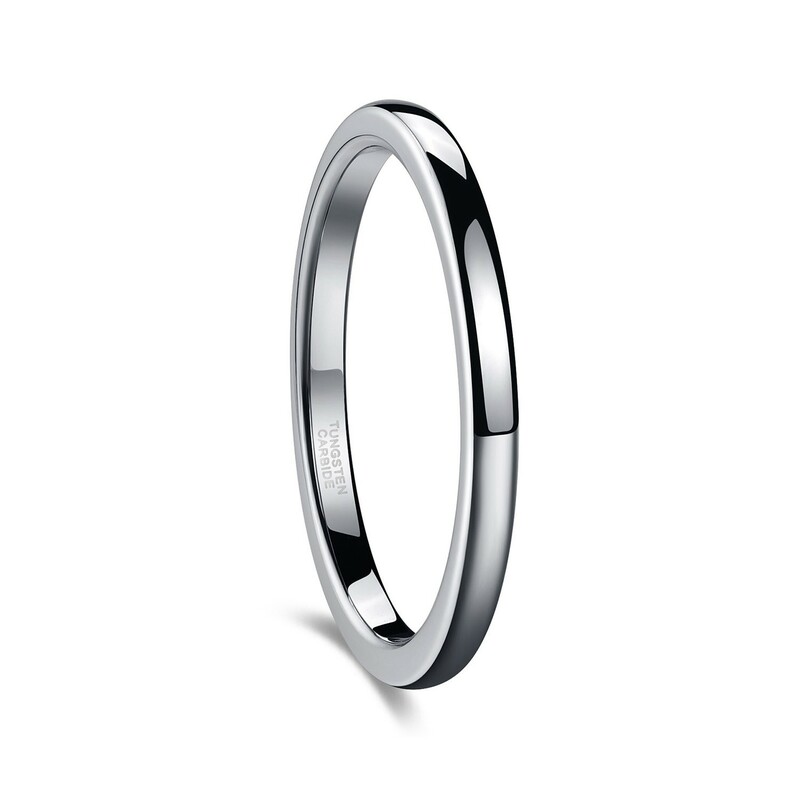 My fiancé and I were really disappointed by with all the overpriced wedding bands at the mall, so we decided to look online. This white tungsten band is perfect! The price is unbelievable and the quality is great. I love that it matches my white gold band too. It is slightly darker than white gold, but it's pretty darn close. 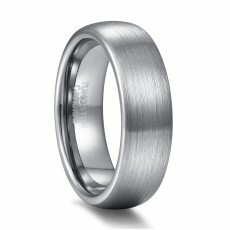 This is the second purchase I've made of a tungsten ring from this company. I purchased the first one for myself and this one for my husband. These rings are very classy, comfortable, affordable and crazy durable. I highly recommend these. I am female and wear size 6. 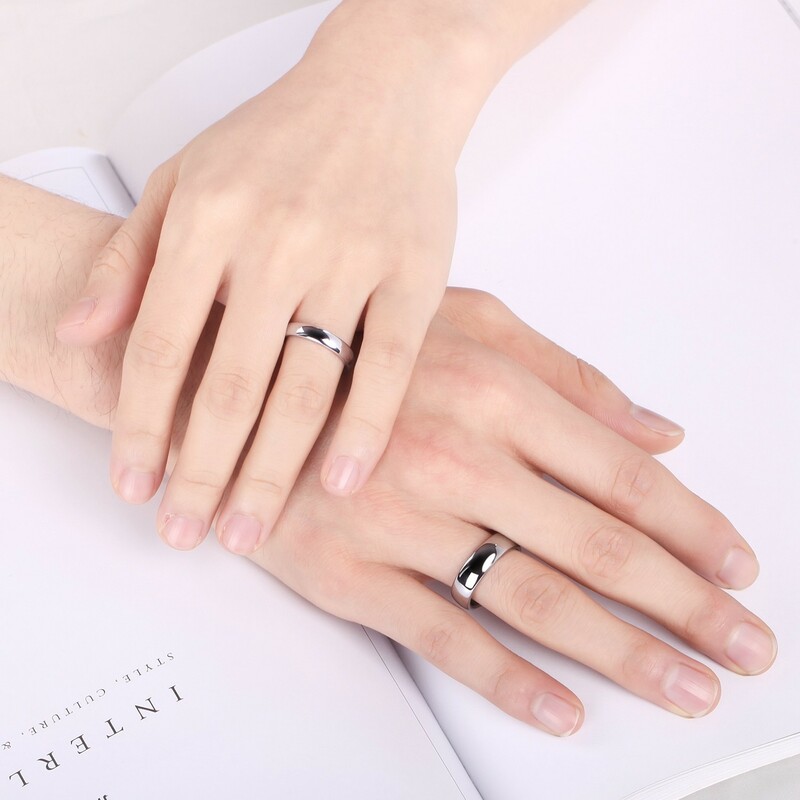 This ring is true to size and very comfortable. The metal is super shiny. 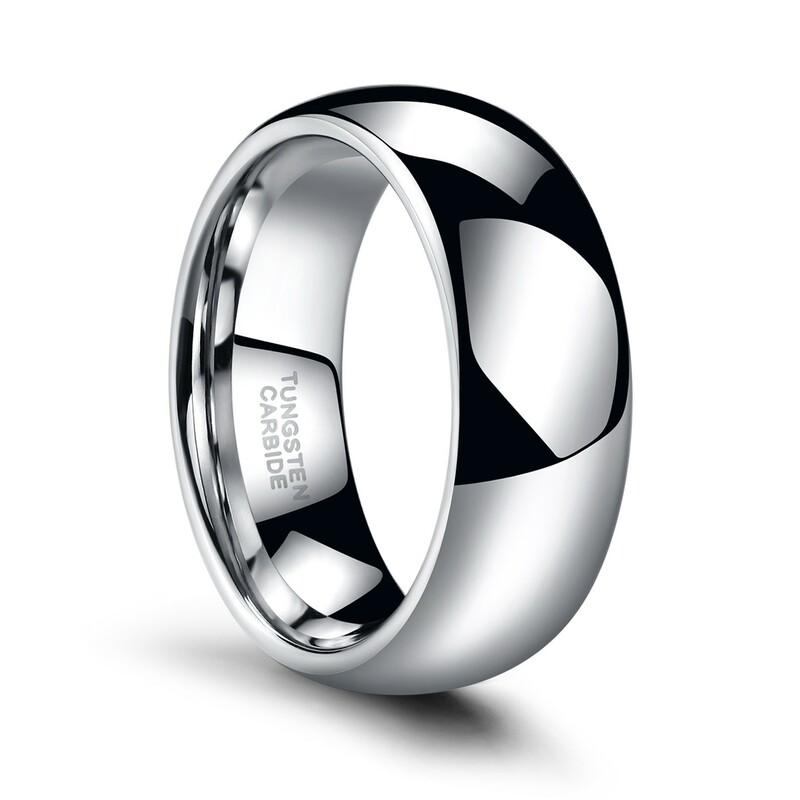 It's definitely a thicker more masculine looking ring so just be sure that's the look you're going for. Delivered way ahead of schedule! Fits perfect (Size 6) and color was just what I was hoping for. Hoping this will be a long lasting, tough alternative to a wedding band :) thanks!!! Outstanding ring! I got the 6mm size and it is perfect. I am a newlywed, male, and don't wear jewelry regularly so I'm very picky. This is the most comfortable ring I have worn to date and is definitely my favorite. This ring looks so nice next to my white gold wedding ring! I leave it on though when I take my other ring off so it gets beat up a lot more! It's still just as shiny as when I bought it with no scratches! No, it is tungsten and will not rust. Yes, it will be in a beautiful box. Dear, could you please send us a message by email and confirm the size you need? We can help you better. Thank you. 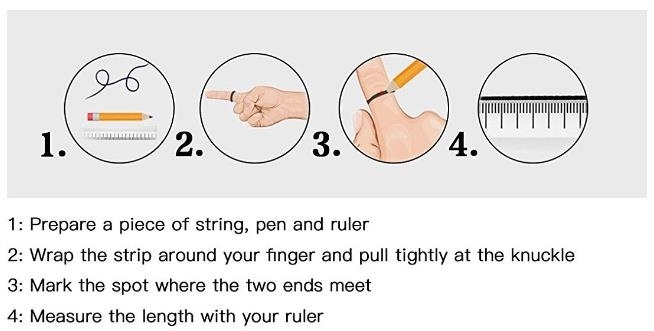 Hey, it's best to take the ring off when solving an electrical problem. Dear, I am very sorry. The maximum size we can make at present is size 13.5. Please understand.